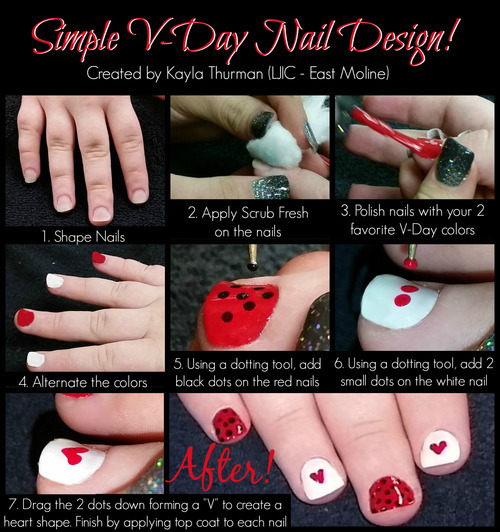 Are you wanting a fun Valentine’s Day look for this year’s holiday? 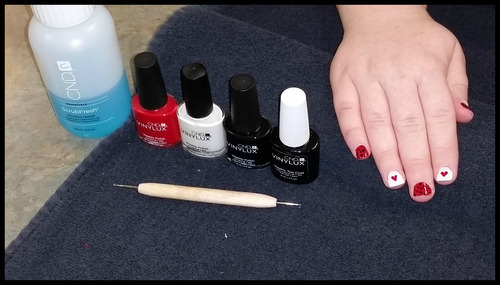 Check out this great nail tutorial created by Kayla Thurman (Cosmetology Student at La’ James International College – East Moline). Step 1: Begin by shaping the nails. Step 2: Clean & freshen the nails. Kayla used CND Scrub Fresh. 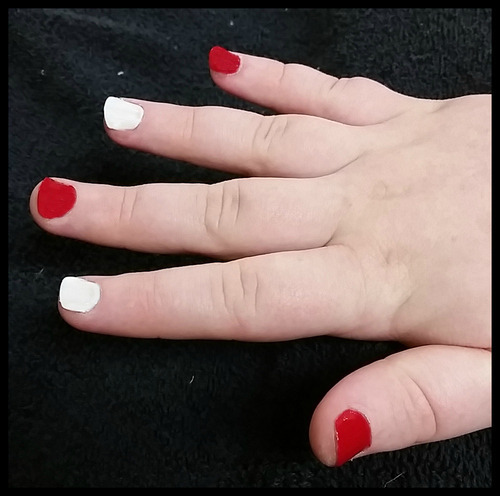 Step 3: Polish nails with your 2 favorite V-Day colors. We choose CND Vinylux Hollywood and CND Vinylux Studio White. Step 4: Make sure to alternate between the two colors on each nail. 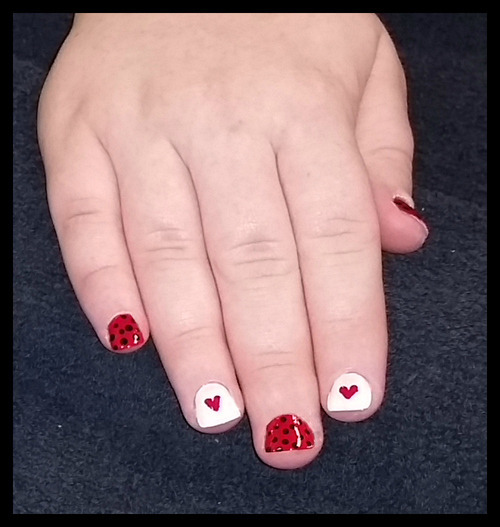 Step 5: Using a dotting tool, add block dots on the red nails. The color chosen here was CND Vinylux Black Pool. 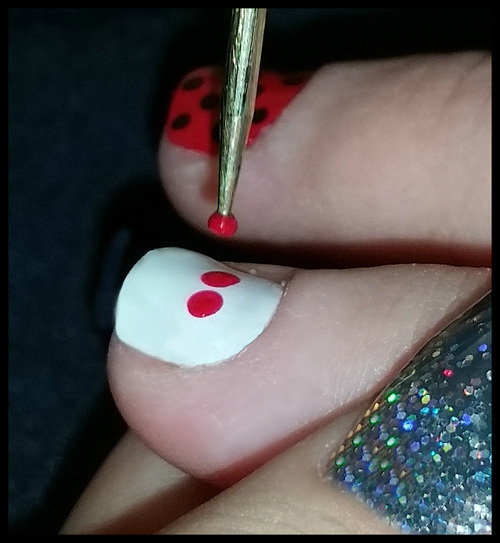 Step 6: Using a dotting tool & your red polish, add 2 small dots on the white nail. Step 7: Drag the 2 dots down forming a “V” to create a heart shape. Step 8: Finish your look by applying top coat to each nail. We chose CND Vinylux Top Coat. Beautiful Job Kayla! Follow along as we share a new tutorial every Tuesday.